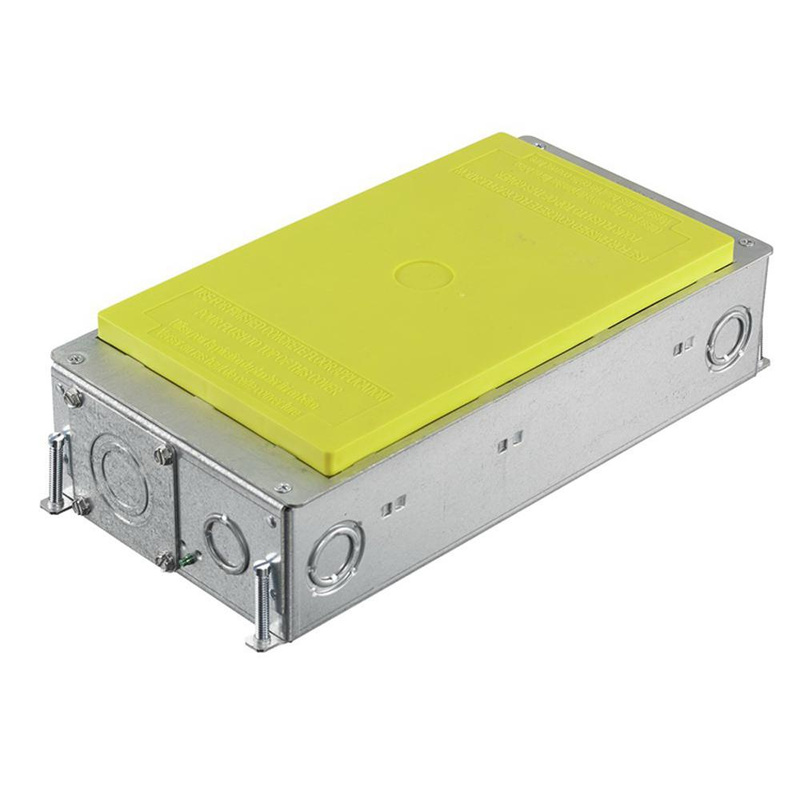 Hubbell-Wiring SystemOne 2-Gang Adjustable concrete floor box in yellow color, is suitable for concrete floors. Recessed floor box features 16-gauge galvanized steel construction. Rectangular floor box measures 6.62-Inch x 13.79-Inch x 3-Inch. It has 35-Cubic-Inch capacity. This floor box has one 3/4-Inch, 1-Inch, 1-1/4-Inch knockouts at front/back, two 3/4-Inch, 1-Inch knockouts at sides and four 1/2-Inch, 3/4-Inch knockouts at bottom. It comes with die-cast aluminum access and polypropylene plastic concrete cover.